Things got tough for Mrs. Burgess after the passing of her husband several years ago. The 63-year-old Walton County resident didn’t have family close by to help her and she had been struggling to live on her own when she called the Walton County Sheriff’s Office for help. When deputies went to her home on July 16th they discovered she didn’t have any food that was edible, her home was very dirty and in disarray, and she hadn’t been able to bath in some time due to being unable to get in and out of her tub. The woman had been eating peanut butter and honey. Deputies contacted the Abuse Hotline and also contacted the Department of Children and Families. But, that wouldn’t be the only thing deputies would do for Mrs. Burgess. 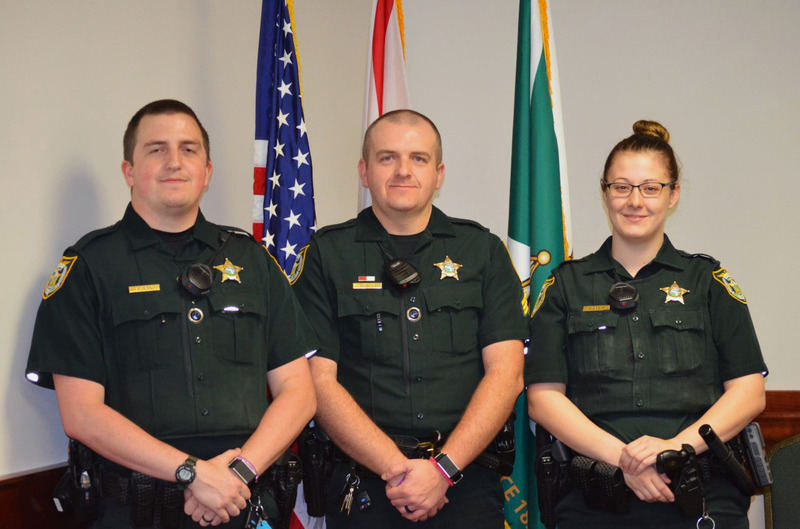 Walton County Sheriff’s Office Sergeant Cory Webster and Deputies Ethan Laird and Kallie Wright would come together that night to turn things around for Mrs. Burgess. They would purchase food and assist her in cleaning old, rotting food from her refrigerator. Deputy Laird kept Mrs. Burgess company for several hours while Sergeant Webster and Deputy Wright made the trip to Walmart to buy food. The three would spend time helping clean and dispose of the food that was no longer edible. Since that time the Walton County Council on Aging and Department of Children and Families have come in to assist.